Georges St. Pierre rose to the top of the welterweight division at UFC 65. GSP blasted Matt Hughes with a left head kick and finished him with punches on the crowd to win the championship. In the process, St. Pierre also avenged his loss to Hughes two years earlier at UFC 50. Tim Sylvia retained the UFC heavyweight title by defeating Jeff “The Snowman” Monson by unanimous decision. The 6-foot-8 champion enjoyed an 11-inch height advantage. Matt Serra and Travis “The Serial Killer” Lutter won championships on the fourth-season finale of The Ultimate Fighter 4: The Comeback. Instead of introducing new stars, TUF 4 gave former UFC competitors the chance to earn their way back into the Octagon and earn a title shot. 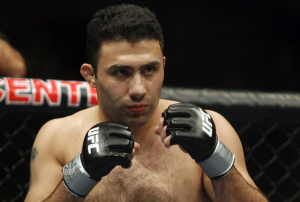 Serra compiled a 4-4 UFC record and hadn’t competed in the Octagon for a year. He defeated Pete Spratt and Shone Carter to earn a spot in the welterweight finals. The judges had varying opinions on Serra’s final bout against Chris “Lights Out” Lytle. Two judges saw it 30-27 for Serra, while the other gave the same score in Lytle's favor. Anderson Silva began a long reign atop the middleweight division at UFC 64. “The Spider” captured the title with a series of knee strikes and punches as he beat Rich Franklin by TKO in just under three minutes. UFC also crowned a new lightweight champion after a four-year title vacancy. “The Muscle Shark” Sean Sherk won the belt by scoring a unanimous decision over Kenny Florian. Jon Fitch moved up in the welterweight division with a unanimous decision win over Kuniyoshi Hironaka. Ken Shamrock got a third chance to beat Tito Ortiz, but he came up short again. The two TUF 3 coaches had battled just three months earlier at UFC 61, with Shamrock winning on a first-round TKO. However, the fight ended in controversy over whether Herb Dean stopped fight too early. Unfortunately for Shamrock, his third meeting with Ortiz ended on another first-round TKO. Shamrock retired after the fight, but he came back less than two years later. Ortiz won the first battle at UFC 40, so he won all three fights in the rivalry. The “Final Chapter” fight drew a huge 4.3 rating on Spike TV. 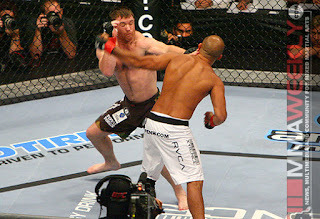 Matt Hughes avenged his only loss in 20 fights when he beat B.J. Penn at UFC 63. Hughes retained the UFC welterweight title over “The Prodigy” on a TKO in Round 3. He avenged the loss of his title to Penn two years earlier at UFC 46. Georges St. Pierre was supposed to challenge Hughes for title, but he had to drop out of the fight due to a groin injury. Take my money – I’m ready to see that fight! Mike Swick beat David Loiseau in a middleweight, as all three judges scored the bout 29-28. Chuck Liddell continued his mastery of the light heavyweight division at UFC 62. “The Iceman” scored his sixth win in a row, beating Renato “Babalu” Sobral by TKO in 95 seconds to retain the UFC light heavyweight title. “Babalu” had earned the title shot by racking up 10 straight wins, but Liddell used a flurry of punches to put Sobral away. Liddell also defeated Sobral four years earlier at UFC 40. Forrest Griffin beat Stephan Bonnar in a rematch from their classic TUF 1 finale fight. Griffin won again by unanimous decision in another crowd-pleasing brawl. Nick Diaz broke a three-fight UFC losing streak by submitting Josh “The Dentist” Neer with a kimura in Round 3. Heavyweight Cheick Kongo used a knee strike to knock out Christian Wellich at the 2:51 mark. Diego Sanchez and Karo Parisyan entertained the Spike TV audience with the Fight of the Year at UFC Fight Night 6. Sanchez used a knee strike to knock out one of Parisyan’s teeth, but “The Heat” kept fighting back. The judges awarded a unanimous decision to Sanchez, who improved his record to 16-0, while Parisyan dropped to 15-4. The welterweight clash headlined Spike TV’s lead-in show for The Ultimate Fighter Season 4: The Comeback. Chris Leben maintained his streak of competing at all six Fight Night events. 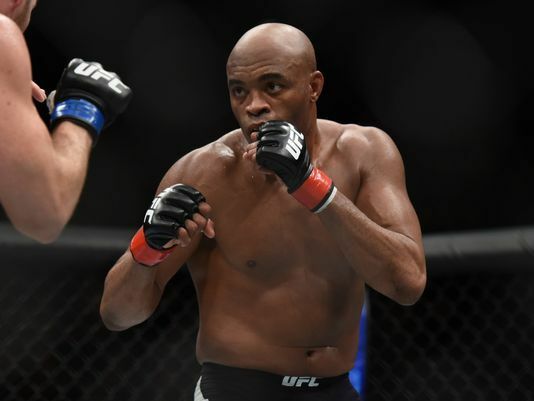 He bounced back from a loss to Anderson Silva to knock out Jorge Santiago in the second round. Dean Lister, who excelled in the Abu Dhabi Combat Club grappling competitions, improved his UFC record to 2-0 with a unanimous decision win over Yuki Sasaki. In the TV opener, Josh Koscheck punched Jonathan Goulet into submission in 4 minutes, 10 seconds. Joe Riggs beat Jason Von Flue with a triangle choke at the 2:01 mark in a preliminary bout that aired on TV. Forrest “Meat Cleaver” Petz made a successful Octagon debut with a unanimous decision over Sam Morgan. One judge registered the most lopsided score in UFC history (30-23). In other preliminary fights, Martin Kampmann beat Crafton Wallace with a rear naked choke in just under three minutes; Jake O’Brien beat Kristof Midoux by TKO in Round 2; and Anthony Torres beat Pat Healy with a rear naked choke in 2:37. 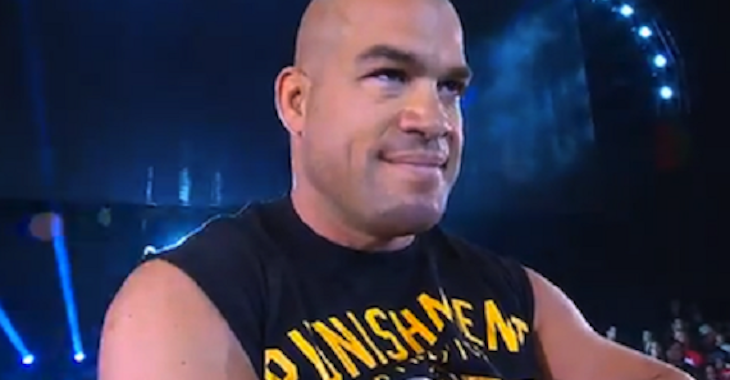 Ken Shamrock’s grudge match against Tito Ortiz set a new pay-per-view record at UFC 61. Ortiz and Shamrock had exchanged heated words as the coaches for Season 3 of The Ultimate Fighter. In the Octagon, Ortiz used a series of forearms to beat Shamrock by TKO in 78 seconds. Shamrock lost to Ortiz for the second time, but he felt the fight was stopped too early. The two rivals would meet again later in the year. UFC was getting hot on PPV and at the box office, as UFC 61 set new records with 775,000 pay-per-view buys and $3.3 million in ticket sales. Tim “The Maine-iac” Sylvia retained his UFC heavyweight title by defeating Andrei Arlovski in the rubber match of their three-fight series. Sylvia prevailed by unanimous decision. TUF 2 alumnus Josh Burkman improved to 3-1 in the UFC by defeating Josh “The Dentist” Neer by unanimous decision. Joe Stevenson dropped to the lightweight division and defeated “The Master of Thug-Jitsu” Yves Edwards when the doctor stopped the fight after Round 2. 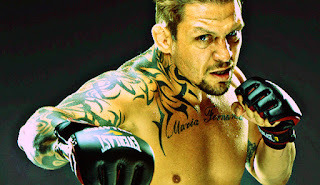 Frank Mir moved up the heavyweight ranks with a UD over Dan Christison. Jeff “The Snowman” Monson and Cheick Kongo also scored wins in the heavyweight division. In preliminary fights, Monson beat Anthony Perosh by TKO in 2:42, and Kongo beat Gilbert Aldana when the doctor stopped the fight at the 4:13 mark. Other prelim results included Drew Fickett over Kurt Pellegrino with a rear naked choke in Round 3 and Hermes Franca over Joe Jordan with a triangle choke in Round 3. 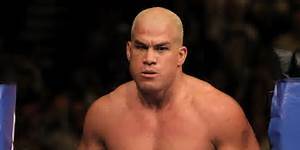 Tito Ortiz and Ken Shamrock led their troops into battle for the finale of The Ultimate Fighter Season 3. Ortiz and Shamrock, the TUF 3 coaches, battled each other two weeks later in the main event of UFC 61: Bitter Rivals. Ortiz won by TKO in 78 seconds. Michael “The Count” Bisping won the TUF 3 light heavyweight tournament over fellow Team Ortiz member Josh Haynes on a TKO late in the second round. Kendall Grove, also from Team Ortiz, won the middleweight tournament by unanimous decision over Ed Herman of Team Shamrock. 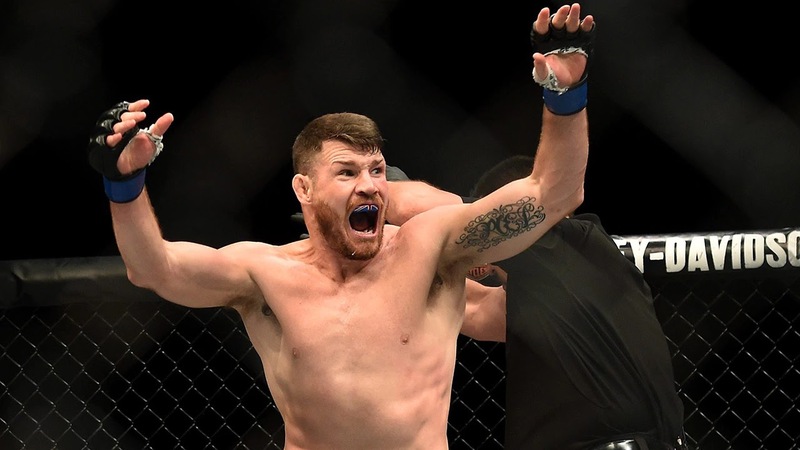 Bisping was a top challenger for a several years before finally capturing the UFC middleweight title from Luke Rockhold in 2016. Grove compiled a 7-6 UFC record over the ensuing five years. Herman was so impressive in defeat that he earned a job and was a mainstay in the Octagon over the next decade. 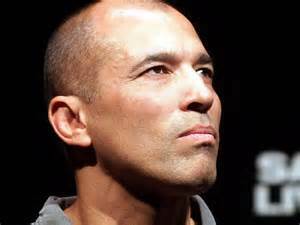 Royce Gracie returned to the Octagon for the first time in 11 years at UFC 60. Gracie, who won three of the first four UFC tournaments, battled welterweight champion Matt Hughes in a non-title bout at a catchweight of 175 pounds. The present beat the past, as Hughes prevailed by TKO at the 4:39 mark. The nostalgia trip was a big hit, as UFC broke its pay-per-view record with 620,000 buys. Dean Lister made a successful UFC debut, beating Alessio Sakara in 2:20. Lister entered the Octagon with a 7-4 record in PRIDE and King of the Cage. TUF 1 winner Diego Sanchez improved his record to 15-0 with a unanimous decision win over John Alessio. The pay-per-view began with Mike Swick over Joe Riggs, followed by Brandon Vera defeating Assuerio Silva. Both fights ended with a guillotine choke in the third minute. 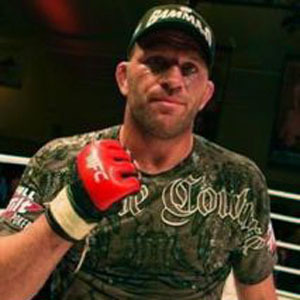 In the top preliminary fight, Jeremy Horn beat Chael Sonnen by submission to an armbar in Round 2. It was Horn’s third win over Sonnen. Spencer Fisher knocked out Matt Wiman with a flying knee in Round 2.